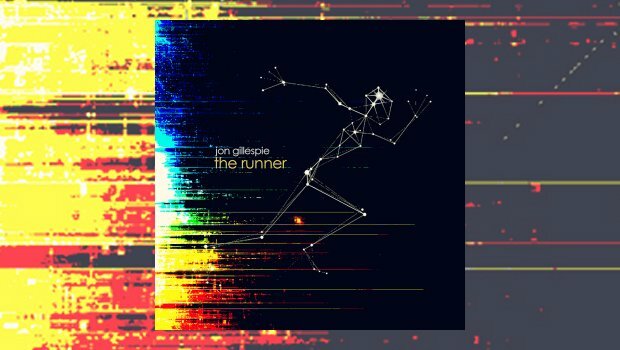 I recently found Jon Gillespie’s The Runner on CD Baby and I’m glad I as it has become one of my favourites of the year. Jon has an amazing voice, a wonderful combination of the highs of Yes’ Jon Anderson mixed perfectly with the warmth and familiarity of the timeless voice of Graham Nash from Crosby Stills & Nash and The Hollies. Imagine that combination, then run out and get this album today. Opener A Place in The Sky could have been a track on Yes’ Big Generator album, Gillespie’s vocals sounding so much like Jon Anderson that it is hard to tell the difference at times during the song, as with the symphonic orchestration. Steve Pruitt’s drums would impress Alan White and the guitar solos and bass bring vintage Howe and Squire to mind. “Round and round we go…” Absolutely; best track on the album, Ryo Ishido-Brighton’s keys and synths adding a hint of early IQ. The Runner is also Yes–like, perfect electric guitar set to a good solid running rhythm from Liam Manley’s drums, the guitar solo later taking you back to early Rush. Another great track. When I See You opens with Gillespie singing along with Ryo Ishido-Brighton’s keys. Jon’s bass and acoustic work is superb, but when Ishido-Brighton lets go of those whirling keys and Moogs you are immediately transported to the labyrinth of The Lamb…, or some of Martin Orford’s best IQ moments. The song features the best keys on the album, I didn’t want the second half to end. My Friend is an eight second vocal a cappella from Jon and Tom Lee that acts as an intro to On the Hills Where We Came from Before, Gillespie’s acoustic guitar adding to a wonderful folksy song, Lee providing vocals and banjo, along with electric guitar and bass. Chris Webb adds mandolin and accordion to warm drums from Stuart Heck and Chris Gibson’s piano, Paul Zahn playing lead electric guitar. John F. Kennedy’s famous “Ask Not” speech opens World Leaders, Chris Gibson adding clavinet alongside Chris Webb’s drums. It’s a rocker and you will hear some familiar Yes riffs; the pulsating beat of this track is enthralling. In contrast Mr. Green Bean is a fantastic ode to The Beatles, with what sounds a little like the rhythm of It’s Getting Better Every Day. Jon Gillespie and Tom Lee share lead vocals and trade guitar licks with e-bow from Chris Webb and Chris Gibson’s perfect piano accompaniment. Scott Jones’ orchestration and piano opens Not So Far Away as Gillespie sings, “It’s been so long, I can’t tell you how I feel. You haven’t changed”. A deep love song full of emotion, “It’s a good day!”. The strings and orchestration are like some of the best from movie soundtracks or The Beatles. Red Sun has a solo Sting sound at the opening, full of heavy lead guitar and solid bass support. Steve Pruitt’s drums add a perfect running rhythm and the contributions from Ryo Ishido-Brighton are superb. There’s even a little Who–like magic in those keys, if you listen closely. And I Will Love You opens with sounds of the ocean, but then a storm with lightning and thunder fills the soundscape. Brian Anderson’s cool keyboards enter as Jon’s vocals stun and amaze; “So many years and so much time, its all gone by, and still you’re there. You’re never changing and you’re everywhere. And I will love you”. Gillespie plays bass and guitar, including a highlight solo, while deep organ sounds and Liam Manley’s drums keep pace. My Friend Again closes things with more Beatles inspiration, complete with excellent guitar, bass and drums. “Let’s fix a little crack in the bond we left broken”, Tom Lee and Jon Gillespie sing, almost sounding like the refrain from Fixing a Hole. This album was a wonderful surprise and I thank Jon Gillespie for providing me the opportunity to review his art. Please get this album and listen to one of the best albums of the year.